In his working life Hiddema worked as a psychiatrist. Beside his work, Hiddema was active as a painter, sculptor and poet. In the period that he lived in the North (Haren) in the sixties and seventies, he trained himself in sculpting. He received lessons from De Ploeg member Gerrit Piek. Hiddema was especially inspired by the English sculptor Henri Moore and Barbara Hepworth. Materials he used for his sculptures were clay, wood, bronze and plaster. He has been a member and chairman of the Groningen artists’ movement De Ploeg and a member of the artists’ group “Nu”. 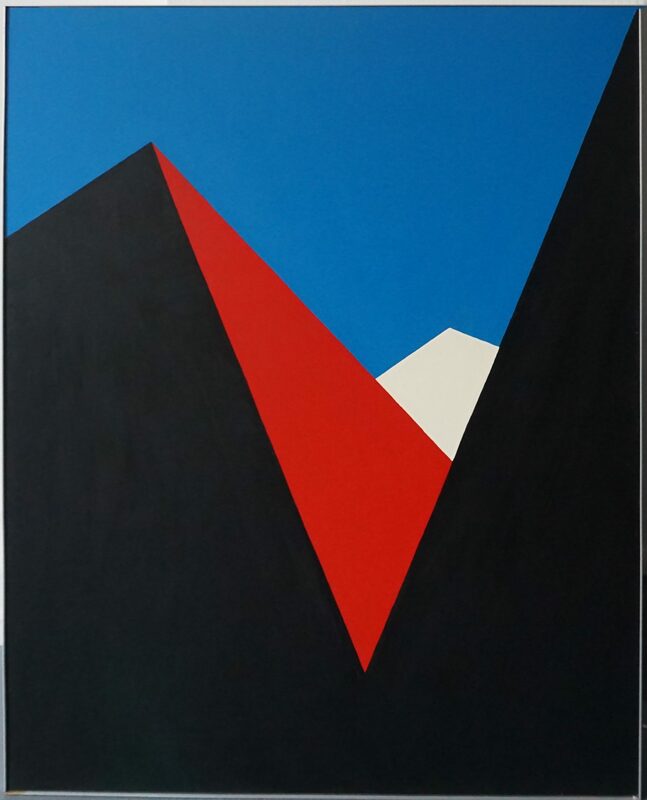 In his period in Oegstgeest, he has made large abstract paintings with geometric shapes. The colors were greatly reduced to black, white, blue and red. His work from this period became very minimalistic and in addition to his paintings, he made a number of stainless steel geometrical sculptures.